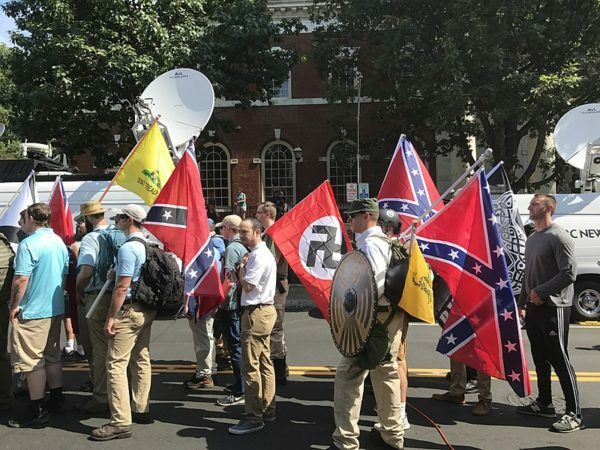 The much-vaunted Unite the Right demonstration in Washington, D.C. on August 12 was a bust, a pale imitation of last year’s Charlottesville rally, which emboldened the American far-right. Only a few dozen members of the alt-right — a creepy amalgam of white nationalists, neo-Nazis and racists — showed up, and a late-summer thunderstorm probably deterred others who had planned to attend. Certainly, they were vastly outnumbered by counter-protesters. But does that mean that racial hatred is on the wane? Hardly. According to the Center for the Study of Hate and Extremism, 1,038 hate crimes were recorded in the 10 largest cities last year, an increase of 12 percent from 2016 and the highest figure in more than a decade. Judging by these figures, the alt-right, though on the margins of society, is hardly a spent force in the United States. One way of measuring its resiliency is its growing presence in mainstream U.S. politics. Come the autumn, a record number of right-wing extremists will compete in local and national elections, nearly all of them running under the conservative Republican Party banner and endorsing President Donald Trump’s “Make America Great Again” slogan. While the GOP has generally disavowed them, they continue to run as Republicans, the Jewish Telegraphic Agency reports. As a result, the ideas these candidates promote are getting relatively wide exposure. 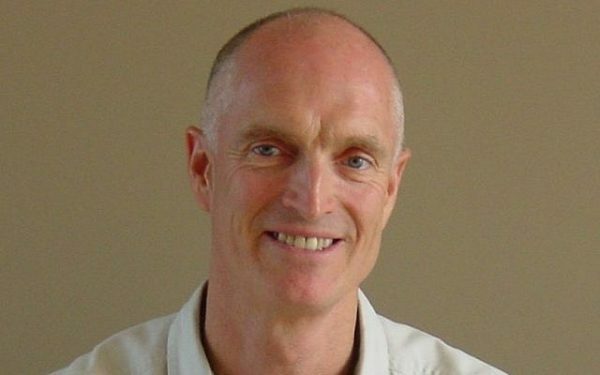 Steve West of Missouri defeated three opponents to win the Republican primary for the state’s House of Representatives. He will face the Democratic incumbent, Jon Carpenter, in November. A radio talk show host, West was quoted as saying, “Looking back in history, unfortunately, Hitler was right about what was taking place in Germany. 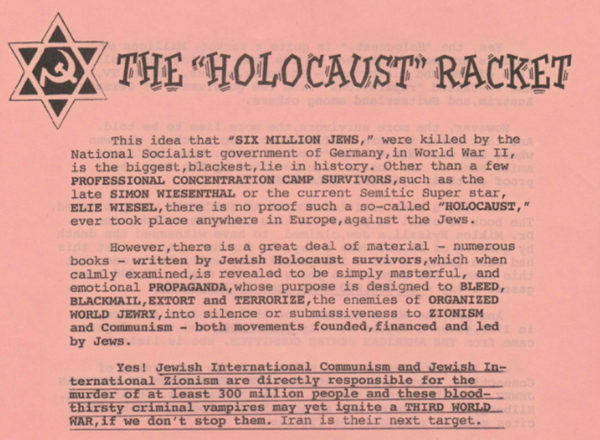 And who was behind it.” West, too, has accused “Jewish cabals” of “harvesting baby parts” from Planned Parenthood clinics, abusing children and controlling the Republican Party. 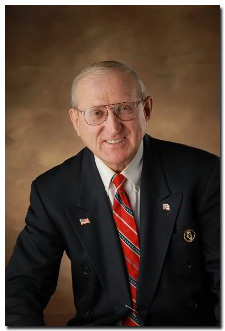 Arthur Jones of Illinois is the Republican nominee in the third congressional district after running unopposed in the primary. The former leader of the American Nazi Party and the founder of the America First Committee, he will face the Democratic incumbent, Dan Lipinski, in the election. Tim Schneider, the chairman of the Illinois Republican Party, has lambasted Jones: “The party and our country have no place for Nazis like Arthur Jones. We strongly oppose his racist views and his candidacy for any public office.” Party officials are trying to find a write-in candidate. 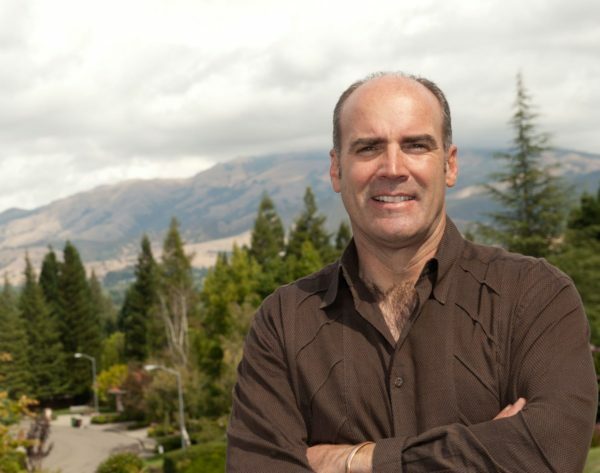 John Fitzgerald of California won a sufficient number of votes in the recent House of Representatives primary to advance to the election. A conspiracy theorist, he disputes the veracity of the September 11, 2001 terrorist attack in the United States and questions the Holocaust. 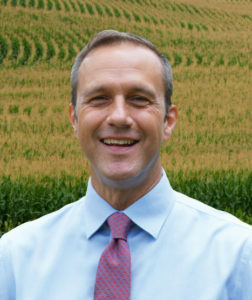 Paul Nehlen of Wisconsin is running to unseat Paul Ryan, the Speaker of the House of Representatives. Endorsed in 2016 by the Breitbart website and by Steve Bannon, Trump’s former advisor, he called for a crackdown on illegal immigration and limits on legal immigration. Bannon broke ties with Nehlen after he made antisemitic comments. He has been banned from Twitter. Corey Stewart of Virginia, seeking to unseat Senator Tim Kaine, Hillary Clinton’s vice-presidential running mate in the 2016 presidential election, is an admirer of Nehlen and has appeared in public with the organizer of the United the Right rally, Jason Kessler. These alt-right aspiring politicians stand no chance of winning, but their candidacies are symptomatic of a malaise that grips the United States today.